The livelihood and profitability of computer companies rely on convincing you to purchase the latest and greatest versions of their products. However, is purchasing the latest and greatest absolutely necessary? The truth is, for many if not most computer users, refurbished and used computer parts—like a refurbished Dell PowerEdge motherboard—will do just fine. 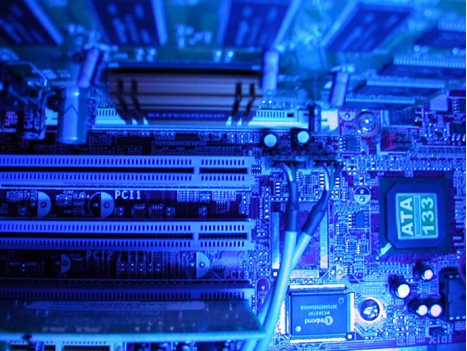 This practice of purchasing refurbished parts is even more valuable for large manufacturing businesses who need cheap and reliable computer components such as routers, servers, storage devices and the like. Companies spend large amounts of money on proprietary software, which is critical for their business to function properly and often that valuable software isn’t compatible with the newer devices. Moving to the latest computer models usually mean these companies have to upgrade their software and processes as well—which can be expensive and extremely risky. That’s why many companies want to keep their old equipment running as long as possible. But what if a component breaks down? Thankfully, there’s a place they can turn to solve this problem. There’s a whole industry that caters to the used, unused, and refurbished computer component market. For large companies, buying used and refurbished parts can equall significant savings. Thanks to technology, it’s quite easy to find a refurbished computer parts supplier All you have to do is use an Internet search engine, type in “used” or “refurbished” and add the name of the computer part you want to purchase, and you’ll have your results instantly. These results will likely be links to various refurbished computer sellers, and you are free to choose which among them you want to do business with. With a refurbished supplier by your side, looking for a replacement Dell PowerEdge Raid Controller will be a cinch. If you’re looking for a highly-recommended refurbished computer parts supplier, we would like to think that we are a great option. We have been in the industry since 1994, have a gargantuan inventory, offer affordable pricing, have a highly secure website, and provide speedy delivery worldwide. Large brands such Boeing, Delta, NBC, and Starbucks have enjoyed our products and service and we believe you will too! Should you have any questions please feel free to contact us or leave us a comment down below. The Disk Cleanup Utility, a featured component of every version of Microsoft Windows, scans your computer for files that the system no longer needs. Running this application regularly reduces clutter on your computer system, increasing the amount of free space on your hard drive and improving Windows’ overall performance. Checking your hard disk for errors helps you identify hardware drivers that are missing or corrupted. With a missing or corrupted printer driver, a vital connection between your computer and business thermal printer from Zebra (or some other manufacturer) is cut off, rendering the device totally useless. The same holds true for all other peripherals and their drivers. Disk cleanup on Windows is simple. You just have to open “My Computer” and right-click on the hard disk drive icon, usually designated “C.” From the pop-up menue select “Properties” and click the Disk Cleanup button. Alternatively, you can do a “quick launch” of the Disk Cleanup Utility from the Windows Start Menu. Delete temporary files—neither you nor your computer needs them, so don’t be afraid about them disappearing. The only files you may need to keep are downloaded program files. Somewhere along the way, you will be asked whether you want seldom-used files to be compressed. Allow Windows to proceed with compression—this procedure does not affect the usability of these files and will help you save hard drive space. And don’t forget to take a good look at the graph which tells you how much free and unused space you have. Remember to keep at least 10% of your hard drive free for optimum hard drive performance. Error checking is integrated with disk cleanup in recent versions of Windows. Allow this utility to automatically fix file system errors. This option is highly recommended and should solve most file system errors detected, including hardware driver problems. As much as possible, let the error-checking application scan your hard drive for bad sectors as well. This makes sure that your computer avoids using those sectors in the future. Neglect routine disk cleanup and you will run into “Low Disk Space” errors. This is particularly troublesome for servers, with their huge data loads. And in case you receive an error message telling you that certain hardware need replacement, you can rely on computer hardware suppliers like Code Micro for new IBM Pseries parts and other components you might require. Should You Get Wholesale Computer Parts to Fix Your Old PC or Buy Google’s New Chromebook? Technology isn’t meant to last forever. So, when your trusty computer starts to glitch and eventually break down due to defective hardware, you’ll most likely have two questions running in your head: (1) Do I buy one of those handy and affordable laptops? Or (2) Do I find quality wholesale computer parts and fix my old PC? And since Google’s new Samsung Chromebook is creating quite a buzz, you may be curious if it’s a legitimate replacement solution. Well, to help you decide whether you should buy replacement parts and fix your old PC or invest in say, the new Chromebook; we’ve gone ahead and broken down four factors to consider before choosing one option or the over. The Chromebook boasts an 11.6” (1366×768) display, USB 2.0 & 3.0 ports, a fan-free ARM-based processor and 2GB of RAM, which are all you’re ever going to get. Hence, if the Chromebook’s specs are less than what you require, you may want to start working on your old PC. From its CPU components to its power supply, you can choose the parts that you need to make your desktop faster and efficient. Priced at $249, it’s no wonder that the Chromebook is noted for its value. However, what if all your PC needs to return to life is a new motherboard for $100 or a simple update of drivers for your hardware? Think about your budget, your computer’s problem and determine whether buying a laptop is better or fixing your PC with all your stored files is more practical. If you’re a big fan of social networking, internet surfing and cloud computing in general, the Chromebook is right for you. But, if you need a computer for gaming, video/photo editing, business or office-tasks, it’s a smarter choice to simply replace the damaged component of your PC. To put a little bit of you in your Chromebook, you can buy laptop skins, stickers, or maybe even carry it in a stylish case or sleeve. But for a higher level of customization, sticking with your old PC is a good idea, because you can add equipment that specifically suits your needs. Now that you know your options, it’s easier for you to decide whether you’ll move on with the sleek, trendy Chromebook or hang on to your loyal desktop computer by reviving it with a new Lucent fan tray or Dell motherboard from a leading supplier like Code Micro. Whatever you decide, make sure that your needs come first, wants second and luxuries last. It’s important to fortify the innards of your computer to ensure it can handle the rigors of extended and constant use. If you count on your computer heavily to process work files (who doesn’t? ), you’d better be sure it’ll never fail. Think. Did you purchase your computer cheap, possibly from a less-than-reliable supplier? If so, after reading this, run a quick check on your computer parts. All the business that you’ve done, all the hours you’ve spent working late and all the energy you’ve put into providing for your clients or customers could be erased if your computer happens to crash. People who work from home—as is often the case in this economy—sometimes resort to buying computers that are moderately priced but not too sturdy. There’s no harm in that, as long as you make sure that the most essential parts are stable and reliable. Specifically, you need to acquire and use a top-of-the-line motherboard and UPS. 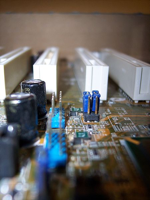 A good motherboard will guarantee the continuous smooth processing of your applications. Likewise, going for a reliable APC UPS battery can be an emergency lifeline (albeit only for a few minutes) should the power get cut off. We can’t stress the importance of a reliable motherboard enough. Serving as the receptacle for most of the computer’s internal components, the motherboard also facilitates the communication of the devices with each other—there’s good reason it’s called a “mother.” But motherboards can wear out from stress induced by repeated use, so it’s always smart to buy a proven brand, like a quality Sun motherboard. An uninterruptible power supply, or UPS, is indispensable for any work PC. Sudden power surges or loss of power can cause your computer to shut down unexpectedly, putting you at risk of losing important files. A UPS will allow you to save your work before you lose power entirely. Branded parts will cost a pretty penny, so it’s difficult to find these components at affordable rates. Fortunately, online computer parts stores like Code Micro sell what you need at affordable and fair prices. Don’t scrounge around at local computer stores; just order the parts you require online. Computers must be reliable when your work depends heavily on them. A good motherboard and UPS should be a prioritized investment if you’d like to protect yourself, your company and save yourself the frustration caused by lost documents and unfinished work. In the transportation, health care, banking, and retail industries, the development of thermal printing technology is one area in which there has been much interest. From simple fax technology in the early 90s, thermal printing has grown to include applications in geological engineering, sea exploration, medicine (fetal ultrasounds), and the like. What is thermal printing? Unlike regular printing that uses ink, thermal printing—as the name implies—uses heat technology. Thermal printers are extremely useful because they are lightweight and often designed to draw power from a built-in battery instead of a computer; battery life can range from two to about twenty hours on the longer end. Because of their portability and ease of use, thermal printers are widely popular, with the reliable Epson receipt printer possibly taking the cake in terms of variety of available types and models. 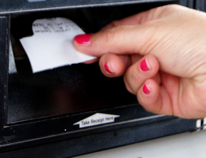 Many trains and buses use thermal printers weighing no more than two pounds to print boarding passes for their passengers while owners of gas stations use fixed thermal printers to print gas receipts. Thermal printing’s use in practical day-to-day things has grown tremendously in recent years and the technology is employed for movie tickets, credit card receipts, and lots of other things. There are two kinds of thermal printers: direct thermal and thermal wax transfer. Direct thermal printers apply heat directly onto heat-sensitive paper using a print head composed of numerous small pins, while thermal wax transfer printers apply heat to a waxed ribbon placed between the print head and the material being printed on. The gains in thermal technology over the last few years have helped businesses to improve upon operations and processes as a whole. Since thermal printing is much faster and more convenient than traditional printing, businesses can operate more efficiently. Imagine at gas stations if you had to go inside, wait in line, and see a clerk for a receipt for your credit card transaction. Having a thermal printer issue a receipt right at the gas pump is much more convenient. One of our past customers and a fellow blogger recently talked about his friend’s 17-inch iMac monitor that showed something that didn’t belong there: colorful vertical lines. A quick peek at the screenshots on a different monitor revealed the problem was not in the system board, but with the LCD monitor itself. More specifically, the Color Active Matrix system, the components largely responsible for displaying clear images on the monitor. There are cases, though rare, similar to the story featured above from customers who discover a faulty system board was the root issue of a bad display. While usually this is only a matter of using the correct connection to the monitor, never rule out the internal circuitry. Here are some tips provided from Intel support on how to look for signs of display issues in the motherboard. The LED indicator light on a system board tells you whether or not the system has enough power to run even the basic functions. 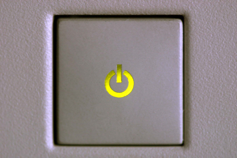 If the light does not glow, it may indicate an issue with either the computer’s power supply or the system board itself. In either case, the LED on faulty boards won’t light up. Display issues may arise when the system attachments, particularly the display card and the RAM, are loosely connected to the mother board. Connect the cards and the parts properly to prevent display problems in the long run. If you’re well-versed with computer repair, you can do this yourself. For the most part, you may be using the wrong component in a specific system board like a DIGI 77000015 COM/8i RS422 ISA. Always check with an expert or your retailer about the correct specifications for your RAM, graphics card and other parts. Specific system boards can support only a corresponding set of parts, which is why compatibility is an important issue. If all else fails, you can perform a BIOS recovery or a CMOS reset procedure. But take note this should only be executed by true computer professionals who are familiar with this type of reset. Put it this way, if you have no idea what this means—then you should probably ask for assistance. Do you have any questions about display fixes? Leave us a question below and we will be sure to follow up with an answer. Your web server performs powerful tasks to process requests and deliver pages, files and other data to computers over a local network or the Internet. As such, complex processing is essential to all business solutions and operations. Without complex processing, communication via email, cloud computing, social networks and the internet would be limited. Choosing to have your own server to store data is a smart business decision. It’s not only the easiest way to store information, but certainly the safest. Although cloud storage has become popular in the last three years, there’s always the potential that sensitive information can be deleted or stolen by hackers when it’s not stored on your server. Imagine the headache of losing files or discovering that they’ve been leaked over the internet? Not only would this jeopardize your ability to do current work, but it would potentially jeopardize your relationships with clients. Of course the downside to owning a server is that the machine itself requires maintenance and upkeep. Business owners have the option of paying technicians to regularly check the functionality of the server ,but this is an expensive service. 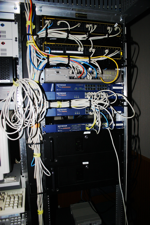 Often, many small businesses take the responsibility for server maintenance on their own. Should your company decide to take full responsibility for servicing your server, be sure to carefully monitor the processing speed, memory and storage of the system. Anytime the processing speed begins to slow, this could be a sign that the server is in need of a replacement part. Luckily, the part that usually requires replacement is the power unit. Oh yeah. This is a sigh of relief. Replacement parts for a server can be extremely difficult to diagnose otherwise. When your server begins to fail due to a weakening power supply, we would almost always recommend our customers to consider a refurbished replacement part from a top-quality brand. In most cases, this part is a refurbished Dell Poweredge power supply replacement unit. A refurbished Power Supply can serve as a direct replacement for the original part to supply power to other components in your Dell system. Because refurbished parts or units are supported by Dell Technical Support, these units fulfill the purpose of supplying optimal computing with additional processing, memory and storage to your computer. Best of all, they’re more affordable than new units and as long as you select a part manufactured by a high-quality brand, you won’t need to worry about sacrificing quality. Restoring a power supply requires little overhead expense from the manufacturer. The savings they incur is passed down in the low price of the refurbished parts or units. In the absence of warranties, prices can be driven even lower. Buying refurbished also helps minimize waste. By reconditioning old power supply parts rather than disposing of them, less computer waste is introduced into the environment. Buying refurbished parts stretches the use of the materials, giving them second-life, instead of adding them to the 250 million tons of industrial wastes in landfills. Some Dell sales and service dealers offer a 90-day limited hardware warranty to cover material and workmanship defects for refurbished parts or units. But for the most part, the guarantees do not extend to older repaired models. Since many parts are old models themselves, guaranteeing to replace them could pose some problems. Refurbished parts also have the ability to breathe new life into your computer peripherals. Upgrading with technological advancements can turn your weak servers into powerhouses. Installing Dell Poweredge RAID controller cards amps your server’s performance, making it as if you had a new one. Should you have any questions about choosing a good power supply replacement unit, please feel free to leave us a question in the comments below! Hospitals Save Money Buying Recycled Computer Parts. On Valentine’s, Love, Computers and codemicro.com reviews. Green and easy on your budget – how Recycling IT is good for everyone.